Another gorgeous day for dog jogging and dress up! We couldn't have been blessed with better weather, and had a great turn out for our 5th Annual Dog Jog. We started off with the fun run, then played in the Doggie Maze, led alpacas through an obstacle course, socialized with friends, and finished up with the costume contest. This fun event would not have been possible without their support, and we hope you support them with your business. The proceeds from the Dog Jog will benefit area animal shelters, and we also thank you for your support! 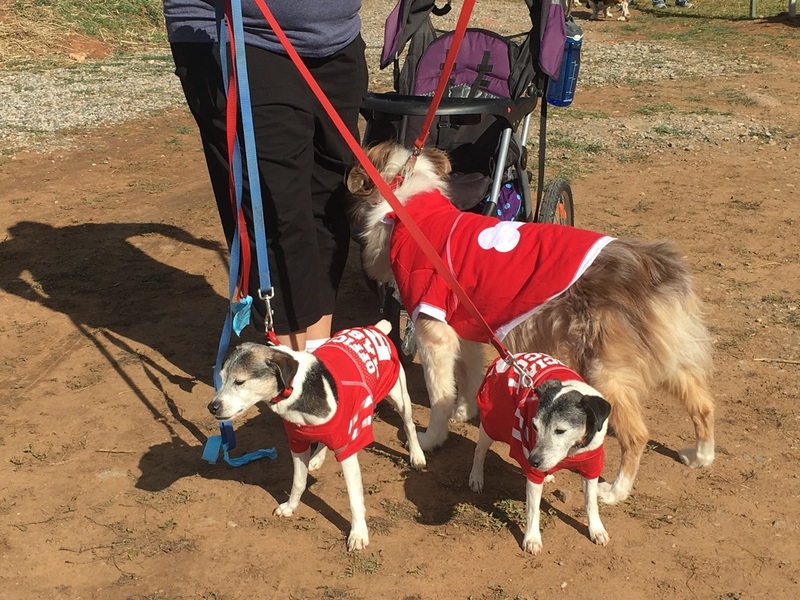 We had a beautiful day for the Dog Jog this year! 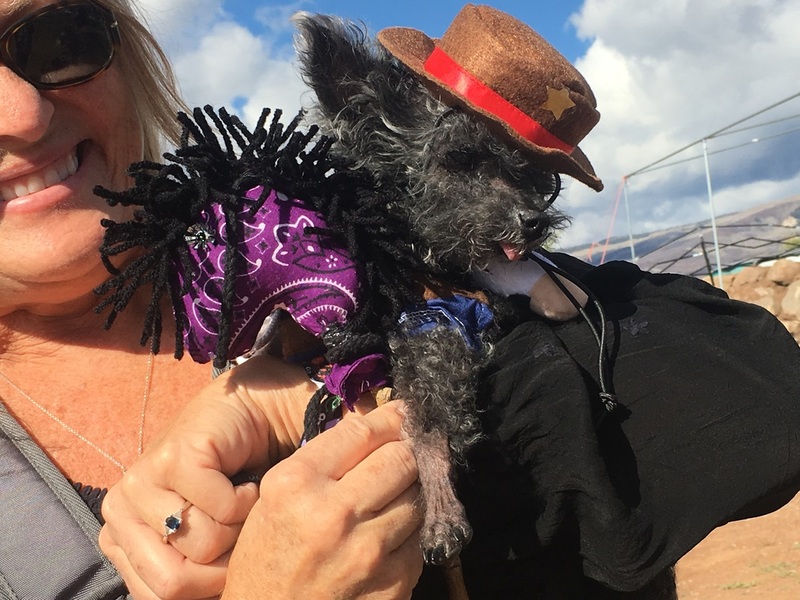 We had lots of people and dogs come out for the fun, and lots of great doggie costumes, too! Meanwhile, here are some pictures for your enjoyment. 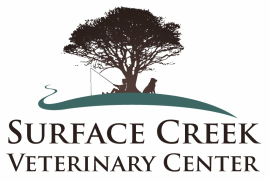 A special thanks to our sponsors for the 2014 Dog Jog and PetPalooza: K-9 Capers, Aspen Trails Campground, Starr's Guitars, Debbie Laity with Cedaredge Land Company, Stitchworks, and Macht-Liles Real Estate Group! 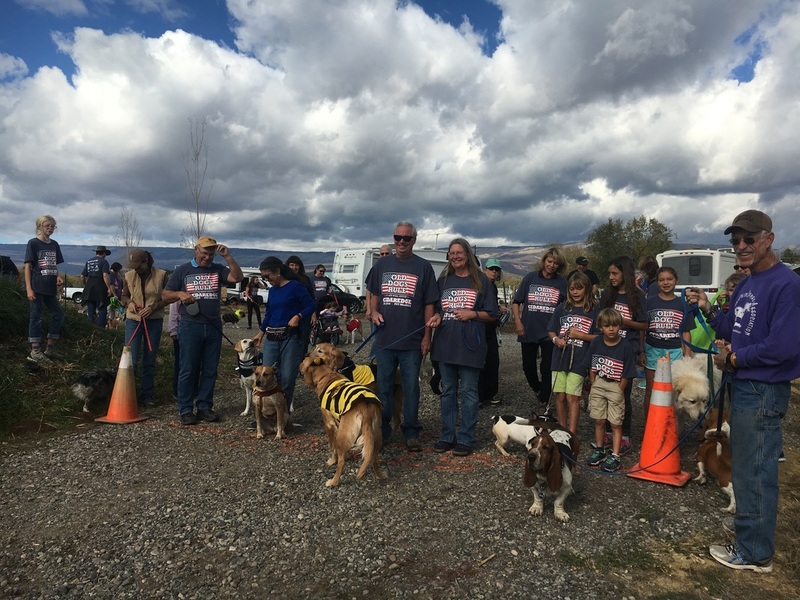 The first annual Cedaredge Dog Jog was a fun day with beautiful weather and lots of happy dogs and people. We jogged or walked a fun loop at Aspen Trails Campground, with the beautiful fall colors on the Mesa in the background. Thanks to all who came out to participate and made it such a success! !